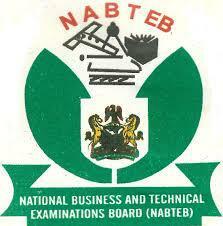 The National Business and Technical Examination Board, NABTEB has published the 2019 Timetable for May/June National Business Certificate (NBC) and National Technical Certificate (NTC) examinations. Below is the Timetable which will commence from 6th of May 2019. This to inform all candidates who registered for the National Business and Technical Examination Board, (NABTEB) that the board has published the comprehensive timetable for the 2019 May/June certificate examination, Now the board made it clear in the publication that the Examinations will Start On Monday, 6th May 2018 to End On Friday 31st May 2019, Follow the details below Carefully. Below is the 2019 Timetable for NABTEB May/June Examination, all the subjects, the paper title, date and time are arranged systematically to enable candidates know the details about their examinations. NABTEB May/June Result (2018 ) Published online.